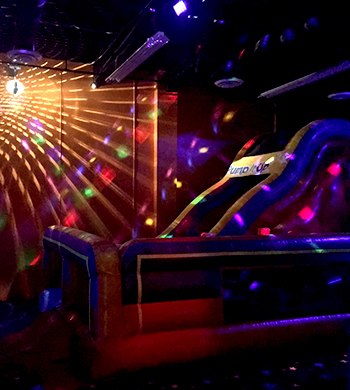 Boogie down with our Disco Jam party experience! in the first Play Arena! Each child takes home a pair of cool sunglasses. The birthday child will rock a mini disco ball! 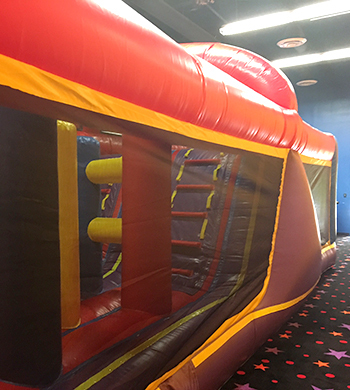 Add to your event for just $35! Add GLOW & DISCO for $60! 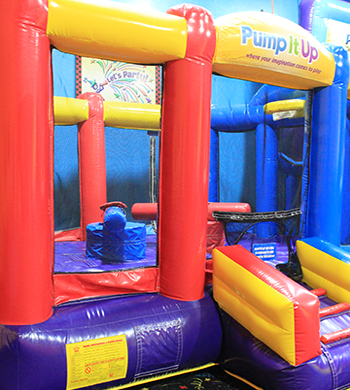 Test your agility up, under and through the obstacles! Test your strength up the ladder to the slide! On your way down, watch out for the double dip! climb, and slide to the finish! 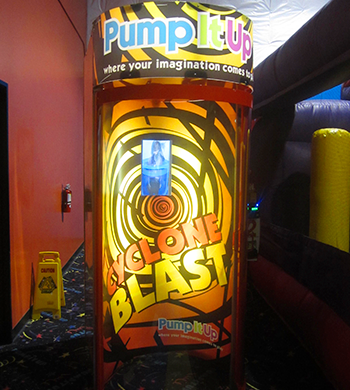 Choose your challenge in this ultimate one-stop fun zone! 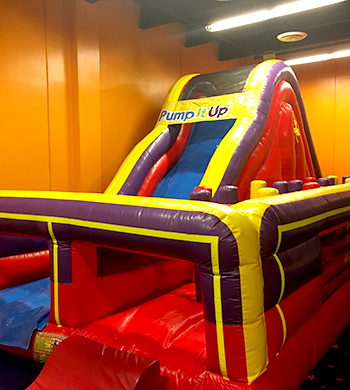 Or a jumptastic jousting arena! 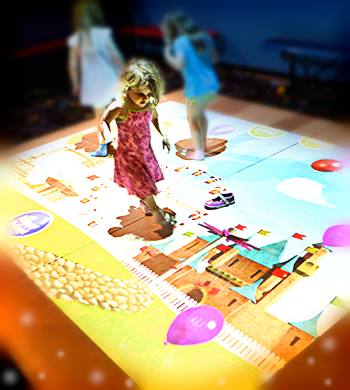 Your little ones will love how the Motion Mania screen responds to the touch of their hands and feet! Pop the balloons, score a goal, chase fall leaves - so many fun games! and a slide to the finish line! 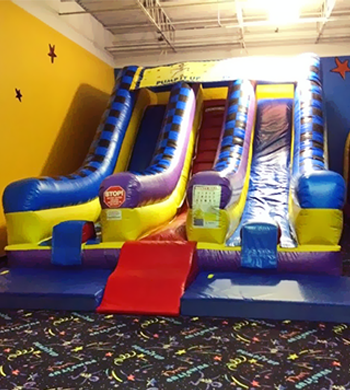 Our 20-foot-tall Double Lane Slide is just the adrenaline rush you're looking for! Climb to the top for an exhilirating experience! and make it to the finish first! 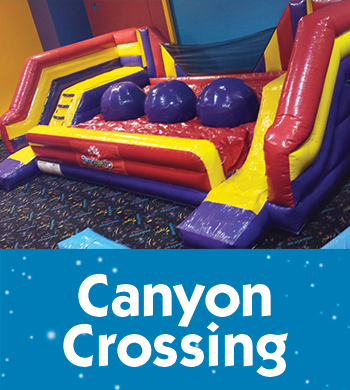 Exercise your hopping muscles as you leap frog from one ball to the next to Cross the Canyon! Have a little one that isn't jumping? No worries! 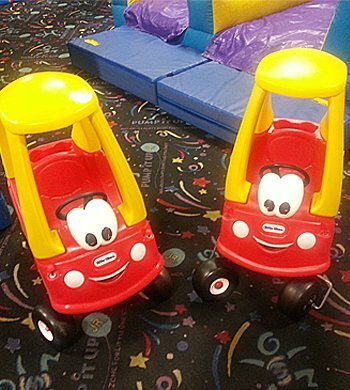 We make sure there are fun things for them to do as well! 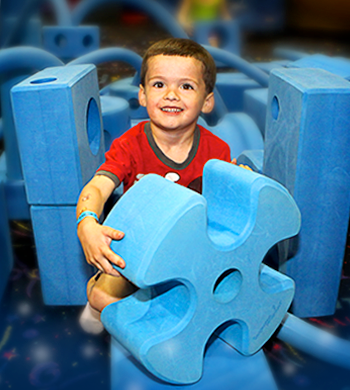 Turn these blocks into a tower, a fort, a car or whatever you can imagine and engineer! First one to seven goals wins! 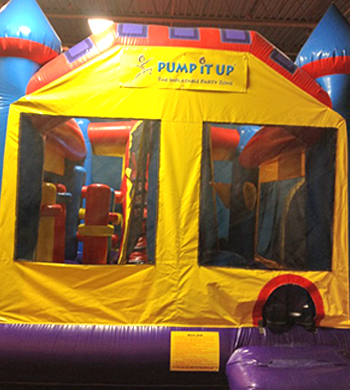 Fun for all ages and sizes! $1 per game. 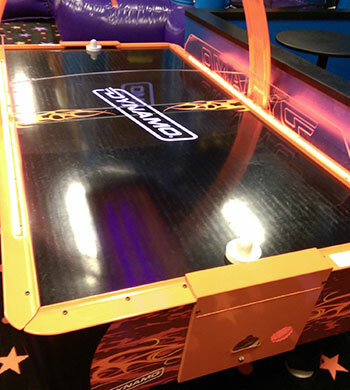 Purchase tokens at front counter. With speeds over 70 miles an hour, you will feel like you are in a tropical storm.